Back to Search Results >> Chroma Cars >> Toyota >> Used >> 2005 >> STOCK NO. Used 2005 Toyota Tundra Ltd STOCK NO. RECONDITIONING: Here at Chroma Cars, we put all of our vehicles through an 88-point Safety Inspection & make the necessary repairs before are put on the lot. We strive to give you a great valued car and take the guessing out of the equation. 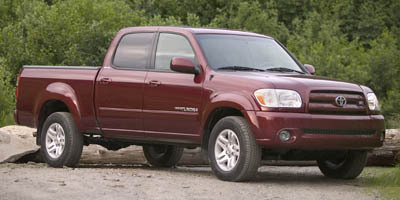 DEALER CONTACT INFO: Call Chroma Cars today at 574-123-4567 TO SCHEDULE YOUR TEST DRIVE of this 2005 Toyota Tundra Ltd! Chroma Cars. You can also visit us at, 228 Waterfall Drive, Suite B Elkhart IN, 46516 to check it out in person! Used 2002 GMC Sierra 1500 SLE - STOCK NO.